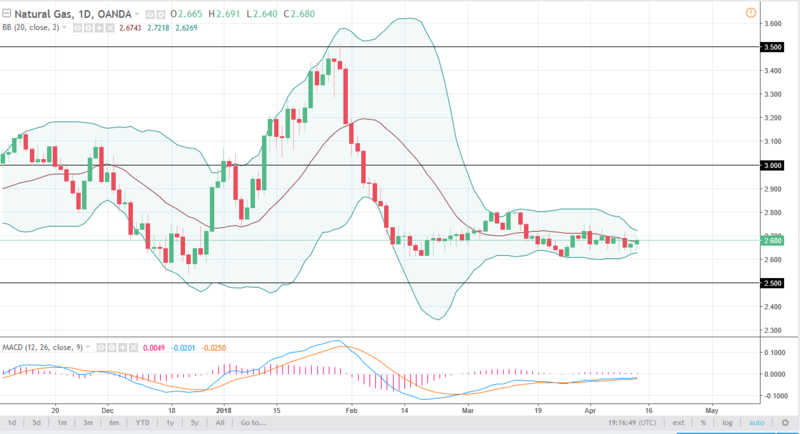 The WTI Crude Oil market initially pulled back during trading on Thursday but found enough support near the $66 level to turn around and form a bit of a hammer. The hammer, of course, is a very bullish sign, and the fact that we are starting to rally from the $66 level that was once resistance, tells me that there is still plenty of buying pressure underneath. If we can break above the top of the hammer, the market should then go towards the $68 level, and then the $70 level. Pullbacks should be buying opportunities, at least until we would break down below the uptrend line which is far below where we are right now. 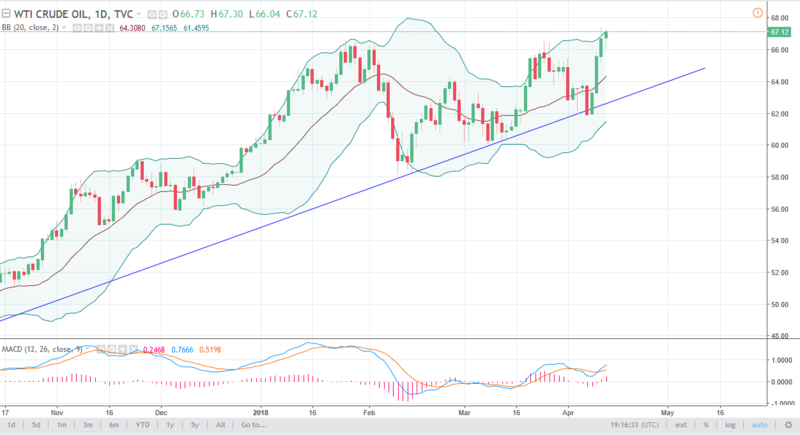 Ultimately, I think that we continue to see plenty of interest in this market, especially if the US dollar can roll over which would put a bit of a supercharge in the uptrend. Natural gas markets initially fell during the session as well, but turned around to form a hammer, digesting that we are trying to rally from here. If we break above the top of the candle, the market will probably go to the $2.80 level above, where we would find more selling pressure. We would also see it near the $3.00 level, and I think it’s only a matter of time before we can start shorting again. However, it’s obvious that we can’t do it in the short term, so I would be cautious about trying to put money to work to the downside. Longer-term, I believe that this market is going to be range bound for the next several weeks, if not longer. I also recognize that taking small positions in a short-term range bound type of system is probably going to be the best way.